The median sales price for a U.S. existing single-family home was $266,900 in the most recently completed quarter, a year-over-year increase of 4.8 percent. The San Jose metropolitan area remains the nation’s most expensive real estate market, with the $1,300,000 median sales price up by 11.6 percent from the third quarter of 2017. San Francisco’s $989,000 median sales price increased by 9.9 percent on an annual basis, making it the country’s second most costly place in which to purchase a home. 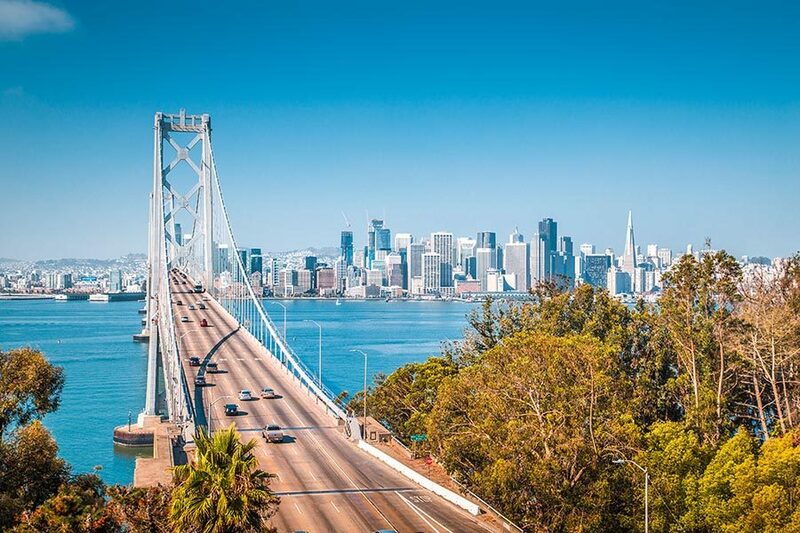 Although U.S. and Bay Area home price growth moderated from the second quarter to the third quarter, appreciation in the latter region’s two largest cities continued to outpace the national rate. The most recent quarterly report from the National Association of Realtors puts the median sales price for an existing U.S. single-family home at $266,900 in the third quarter, a year-over-year gain of 4.8 percent. That’s a very slight decline from the second quarter, when NAR recorded annual appreciation of 4.9 percent and American home prices reached a new all-time high. As in the second quarter, home prices rose in more than 90 percent of the 178 metropolitan areas included in the report. Eighteen housing markets posted double-digit percent annual appreciation, down from 24 in the second quarter. San Jose was among those markets with the highest home price growth, with the $1,300,000 median sales price up by 11.6 percent from the third quarter of last year. In the second quarter, NAR put year-over-year appreciation in San Jose at 18.7 percent, the most in the nation. The region remains America’s most expensive housing market. In San Francisco, the nation’s second most expensive place to buy a home, prices grew by 9.9 percent year over year, ending the quarter at $989,000. Like San Jose, San Francisco saw home price growth relax from the second quarter, when it registered 12.6 percent. Nationwide, inventory conditions improved modestly, with 1.88 million homes on the market, up by 1.1 percent from the third quarter of 2017. The slight supply increase did not translate to higher sales, which were down by 2.6 percent year over year. In a statement accompanying the report, NAR Chief Economist Lawrence Yun noted that while there are an adequate number of homes on the market to satisfy move-up buyer demand, the inventory of entry-level properties remains insufficient. Affordability challenges are no stranger to Bay Area homebuyers. The latest Housing Affordability Index from the California Association of Realtors says that only about one in five households in the nine-county region earned enough to purchase the median-priced $950,000 home in the third quarter, compared with more than half of U.S. households. Next PostNext How Long Will a Home Purchase Impact Californians’ Credit Scores?